Happy Bank Holiday, everyone! Someone please tell me — how is it May already? How? It feels like the first third of this year has gone by with a snap of my fingers and it’s scaring me. Is this only going to get worse as I get older? I have a feeling the answer is yes. Today I’m talking contouring, but not from the perspective of someone who knows what they’re doing (this is not the place to be if you’re looking for a tutorial). Contouring has always fascinated me and terrified me in equal measure. There’s no denying that it can shape and sculpt a face, but it also takes a deft hand to pull it off — you’ve gotta put the product in the right places (cue a hurried search for a diagram on Pinterest) and you’ve gotta blend, unless you like the stripy look. All of this sounds like a lot of effort for everyday make-up, but rewind a few months and I decided that I was finally going to take the plunge and teach myself how to contour. I blame it on one too many evenings spent stalking people on Instagram. Normally it’s the brows and the eyeshadow blending skills that grab me most but I guess I was paying attention to all the cut-glass cheekbones, too, because I found myself on Feel Unique, searching for (and buying) the NYX Wonderstick in Light, £10. 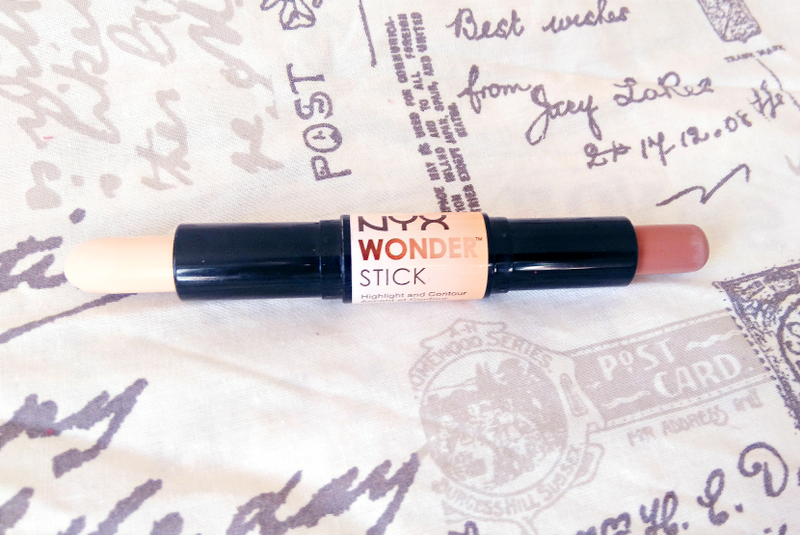 NYX Wonderstick is double-ended, with an ashy brown contour shade at one end and a non-shimmery highlighter at the other. I like that you get both products in one, since it saves you having to buy two separate sticks (meaning more room for extra make-up, #priorities). I also like that NYX have made four different shades, instead of offering a solitary generic mud colour that suits no one, meaning those of us with ghostly pale skin are actually catered for. Anyway, I started with by drawing a line underneath my cheekbones with the darker shade. They’re there, I think, but I also have little chubby cheeks (it’s the baby face — the reason I still get ID’d at 22). Then I definied my jawline and the sides of my nose, and, finally, the part that scares me most — my forehead. How beauty vloggers can pull this off without looking like they’ve smeared mud on themselves is beyond me. 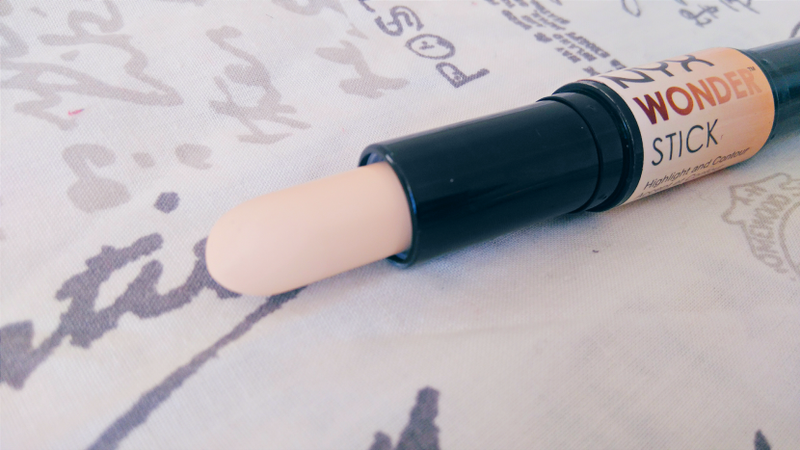 To give Wonderstick its due, the contour shade does blend really well, without disappearing into the skin completely, and it tends to stay put without smudging. The highlighter I’m not so excited by. It’s not bad, exactly, but it doesn’t last as long as the conotur and if anything, I actually find it to be too pale (I know, I know, make up your mind, Beth!) 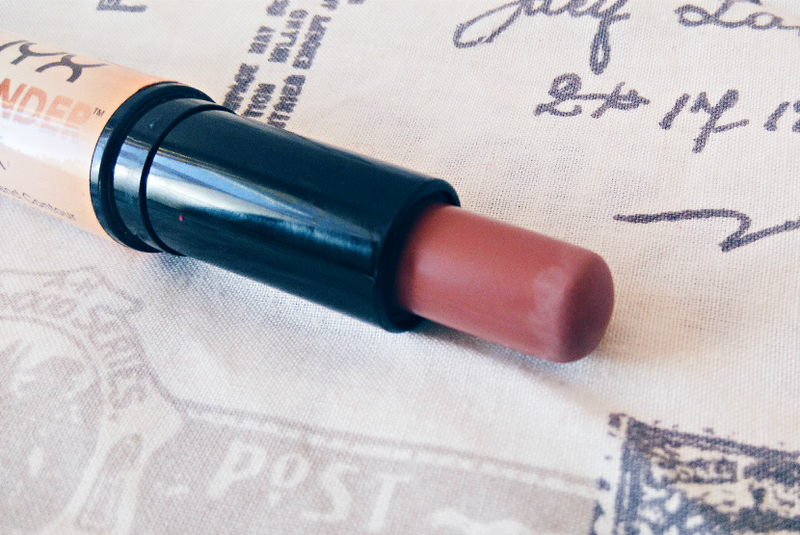 It’s more of a white shade than a cream one and I don’t think this looks particularly natural on my skin. However, it’s illuminating as opposed to sparkly and I think this is a lot less intimidating if you’re just starting to use highlighter — think glow rather than shimmer. All in all, as fun as it is to faff around sculpting my face, it’s too much work to be an everyday thing right now. You need good lighting and time to blend, things I don’t always have, and I can’t decide if I actually like the effect it has on my chubby little cheeks (it looks a bit like I’m in denial of their existence). I will, of course, remain in awe of anyone who can contour and pull it off — all the respect to you, lovely ladies and gents. How do you feel about contouring? Are you into it, or over it? Let me know in the comments!